This year I was super excited to go to the SS16 February show, sure that some of my favourite brands would have some truly awesome stuff coming up soon. I was not wrong. Several brands, including Collectif and Voodoo Vixen, released their SS lookbooks online a few weeks before London Edge, so I had seen a lot of what they had to offer before I attended, but there were still tons of companies whose spring and summer offerings were still under-wrap beforehand. Plus, there’s something about getting to see items in person, even if you can’t try them on, which is so much better than trying to get a full sense of them online. Bearing all that in mind, I went up to London this past weekend armed with a feverish sense of clothing curiosity and my camera, with one of my pinup besties, Giselle, at my side to trade off comments, gasps and admiring groans with as we combed through the rails. Victory Parade by Limb, formerly Vanity Project, tend to offer a variety of prints across a few staple silhouette pieces. For SS16 they’ve added a new sarong style dress, which I fell in love with, as well as a couple of other dress styles in both wiggles and swings. There’s so many gorgeous prints for the summer, my favourites of which are the Hawaiian prints and their oriental inspired blossom prints, but there were tons of florals and even some super cute novelty prints too. 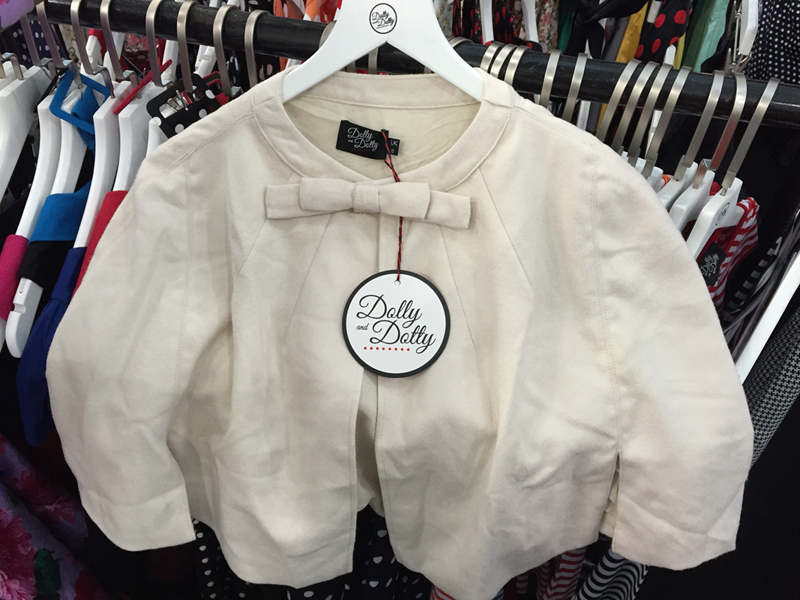 Dolly and Dotty offer a full range of budget-friendly vintage inspired dresses in many prints and colours. I’m not hugely familiar with their range so distinguishing what was new for this season was harder for me, but the piece I loved most was this adorable little cape available in both black and white, which I will definitely be looking out for. Collectif had one of the biggest stands at Edge this year, which was no great surprise as they’re not only a huge UK brand but their SS crop year is bumper, to say the least! They even previewed their upcoming AW16 collection, and holy crap, you guys, it is incredible. I’m sorry to tease you, because I’m not allowed to share any information or pictures of it, but I had to at least let you know that amazing things are coming in autumn. From the SS16 offerings alone there were literally dozens of items I spotted that I want in my wardrobe, including vanity bags in multiple colours that make my heart ache. There’s tons of cute new purses, dresses and separates in fresh fun colours as well as some pastels, and a ton of amazing prints. The much loved Dolores dress and tops see several new colourways being introduced, and there’s some new silhouettes I haven’t been aware of them producing before. Plus, there’s gingham and flamingos, which I know will make many of you happy. You can view some of the items–although not all–in their online look book here, but below I’ve added the pictures of the couple pieces I most loved and some that aren’t in the lookbook that I thought you might be interested in. The last AW line was a great line for Voodoo Vixen but I think I love this SS line even more. Lots of pretty florals, the return of some of their best prints in new colourways, some new gorgeous prints, and some new silhouettes and design details they haven’t provided before. Plus, there’s one wicker bag that is calling my name so hard I’m pretty sure my neighbors are soon going to start complaining about the noise, so I have several favourites I need to pick up this season. Many of their pieces can be viewed online in their lookbook here, but not everything is represented so I took pictures of a few of my other favourites to show you as well. The famous Joni dress returns in red! I’m not sure I ever owned anything from Banned but after stopping by their booth I’ve decided that needs to change. They have a full range of fluffy petticoats in fun colours, some dresses in super cute prints, and a selection of tops available in a range of great colours. Plus, their new offshoot brand, Dancing Days, offers at least 3 pairs of wedges I must own and some of the cutest cardigans I’ve ever seen, available in plain colours with little bows where the buttons would normally be. Available in all these awesome SS colours! I’ve never owned or even seen a Daisy Dapper piece in person so I was really interested to check out their quality and feel. They offer mostly items in solid colours and classic cuts, but what struck me most about their line was how soft and comfortable the pieces were to the touch, good quality and well made. I got too distracted to the lovely team to remember to take many pictures, but I snapped a picture of this great turquoise and pants set that I found really fresh and striking, plus another bright blue wiggle dress which looked absolutely phenomenal on the displayed pictures of Idda Van Munster, who is, of course a mega babe. Hell Bunny typically offers new circle ckirt colourways or prints each season, and this summer is no exception. They’ve also brought out new plain colourways of their Dolly top and a peasant style top available in 3 colours. I love that a lot of brands seem to be offering a sarong style dress for the first time, Hell Bunny included. There’s some nautical themed dresses too, and a lovely peacock print in a printed skirt. They’re also bringing out handbags this SS for the first time. They have a few SS pieces previewed in their Facebook SS16 Teaser album, which will be updated as items are released, but below I’ve shown a couple of my favourites. Love UR Look is an ethically made UK designed brand I’ve only been familiar with for about a year or so, and this was their first time at London a Edge. I recognised some of the prints as previously offered fabrics now used in new designs, but there’s tons of new prints freshly designed by Love UR Look for this new season. They’re keeping their new items a secret for now so I don’t have a lot I can share with you, but they let me take a sneaky teaser snap of two of my favourite dresses I saw. Expect a real variety of prints and easy to wear dresses that last and live well on the modern girl dressing like a vintage lovely. Last SS season was Zoe Vine’s first line, so it was great to see what they had lined up for their second summer. I don’t have pictures of my favourites because I got too busy chatting away to Zoe, but I can tell you that, like their first line, this new season offers a small selection of quality, pretty pieces. My favourites were a lovely floral dress and a cross front-strap dress, both of which will be available in two colourways/prints. 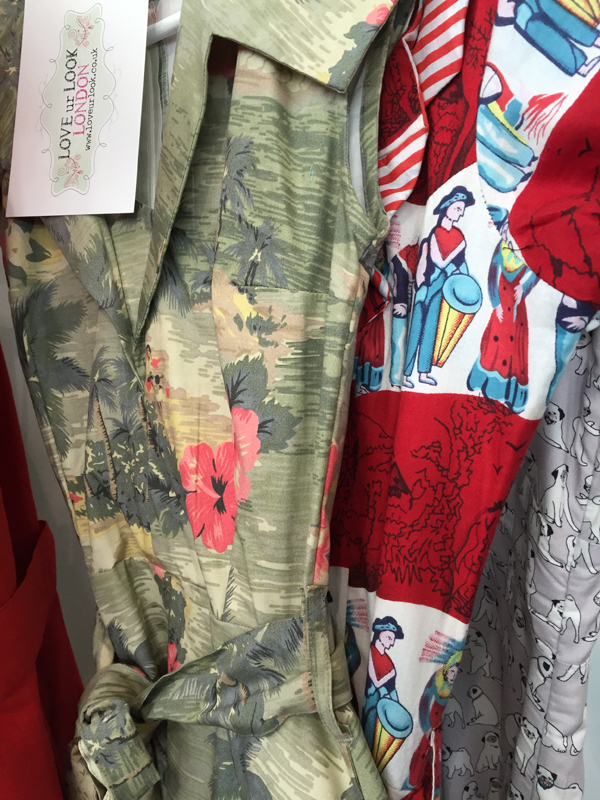 They had their AW16 season samples ready there too, like Collectif, and I’m loving that there will a good deal of red to choose from next season! Super excited to get my hands on the new pieces. Basically, you should all get saving your pennies right away because this spring and summer is going to yield all kinds of cute, fresh and fun from pretty much every brand. You’ve been warned! What pieces are you most looking forward to from the upcoming lines? Do you have a favourite vintage style brand who gets it right for you every time? This entry was posted in Pinup Life & Special Events and tagged fashion blogger, London Edge 2016, pinup, retro clothing, SS16, vintage inspired by missamymay. Bookmark the permalink. Wow, there’s loads there I like. I’m already a fan of many of the brands, so it’s good to see more brilliant things to come. I don’t blame you for being too distracted to take some photos! Banned petticoats are AMAZING – they are sooooo full and extremely soft! You must get one immediately! Gah, I’m dying of envy over here – and I want all the pretties! It’s a shame that the seasons are always the wrong way round for us Australians, but at least I can buy pretty things for when our spring does come around again!